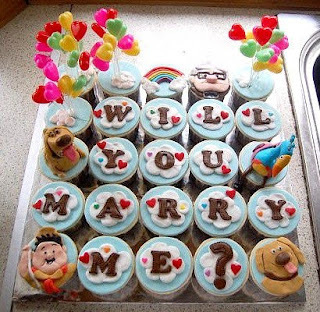 Seeing how much I love cupcakes and the movie, Up, I would find it very hard to say no to these. Aren't they brilliant?! 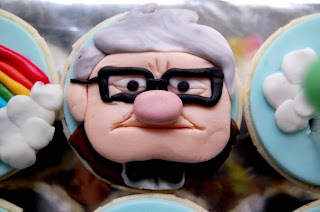 The cupcakes were made by an 18 year old girl in Kuala Lumpur. I don't know what they taste like, but they could be made of play-doh for all I care! They're fantastic looking. 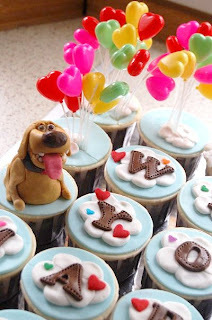 You can see more of her cupcake creations at Dolce. Wow! How honoured I am! Thank you so much for featuring me on here! It's been a real journey of finding myself, finding God, and everything else that shapes me - this year of studying and baking cupcakes that hopefully (okay so I've got backup feedback LOL!) don't taste like play dough! 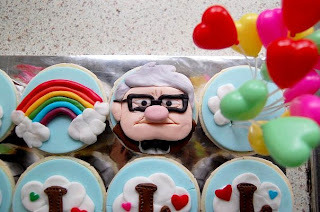 :) Marshmallow fondant does the trick, but I don't always have the time to make it. All the best in your own journey which I've read! :) I can't wait to see what you do!